New Jersey Gov. Chris Christie (R) on Thursday called out four Colorado Republicans in Congress who opposed a bill to fund disaster relief programs in his state, then turned around and pushed for federal aid when their state was hit by devastating floods. Reps. Cory Gardner (R), Scott Tipton (R), Doug Lamborn (R) and Mike Coffman (R) all voted against a $50 billion supplemental appropriations bill that would have funded relief programs aimed at helping New York, New Jersey and Connecticut in the wake of last year’s devastating Hurricane Sandy. The measure passed with 192 Democratic votes and only 49 Republican votes; 179 Republicans and one Democrat voted against providing aid. As reported this week by New Jersey media outlets, the money sought by the Colorado delegation originally came from the Sandy relief legislation that Colorado Republicans voted against last January. As the Denver Post's Allison Sherry reports today, Rep. Cory Gardner is standing by his original explanation that he voted against the Sandy relief bill as retaliation for the stripping of funds for Colorado from the bill–while Rep. Mike Coffman and Doug Lamborn say they voted against on simpler ideological grounds. Rep. Doug Lamborn, R-Colorado Springs, said the final Sandy bill was "overly generous," and that's why he voted against it. As Wilson at the Washington Post reports, New Jersey Sen. Jeff Chiesa, recently appointed by Christie, put a hold on Colorado's request until transportation officials assured him that they could get the money to fund some $400 million for road repairs in Colorado from a source other than the Hurricane Sandy legislation that Colorado Republicans voted against. That hold has been lifted, says Wilson, but Sherry reports a final reconciliation of House and Senate versions is on hold until the shutdown impasse is resolved. We've said it several times now: this is a horrifying embarrassment, not just for these four persona non grata Republican representatives, but for the whole state–an example of blatant hypocrisy and selfishness now linked to "the state of Colorado" more than any individual politician. Obviously there is a partisan distinction that can be made, but is that really enough for the people of Colorado from both parties who would never have approved of this hypocrisy? What can Colorado Republicans with any sense of community say? Or, dare we say it…Colorado Republican flood victims? Folks, this matters. It matters to all of us. And it isn't about partisanship. It's about being better neighbors and citizens than this. We know the last thing we can expect from the Colorado Republican congressional delegation is an apology to the victims of Hurricane Sandy, including their fellow Republicans who are rightly criticizing them. But on a level that transcends politics, we really wish they would. And, why not — there isn't a House or Senate Republican that isn't coming out of this shutdown debacle and other ongoing Congressional disfunction without a huge, nasty taint . . . not a single one worthy of the title "statesman". The 2016 Gopper Presidential nominee will have to be a Governor or someone outside of either house. Christie is actually as good as they've got. PS — it'll be great in 2016 to run these comments of the eventual GOP Presidential nominee denigrating our remaining local miscreants. PPS — Have fun with the "taint" comment fellow degenerates — you're welcome! 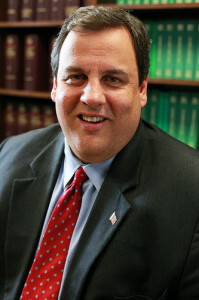 Christie is very conservative, but he does have moxie and a fair amount of pragmatism. The surgery seems to be working. That was a good move. A montage of fellow Republicans pointing out the hypocrisy of our R Reps should be a part of every Colorado Dem supporters' congressional ad campaigns. Especially CD6 where we have a real chance of getting rid of Coffman. Indies love Christie. Let them hear about our GOP congressional delegation, including Coffman, from him. vote for his Democratic opponent? Whoops…that was all suppose to be posted in the open thread. User error I'm sure.